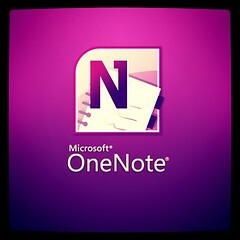 Hey David – thanks for the tips…I am an Apple user and you have inspired me to check out EverNote or OneNote. I could sure use the help! constantly shuffling papers and losing them! Hey, you mentioned Tbilisi in your blog. Have you been there? My daughter, Nicola, spent a few weekends there while she was on internship in Azerbaijan! She loved Tbilis – she says it is one of her favorite cities! Thanks for dropping by and reading. Appreciated your comment, especially that the post inspired you to take action. I’m sure you’ll be glad you did once you master whichever program you choose. As far as Tbilisi. I’ve been there twice and can’t wait to return. The last time I went. I was literally sent by the Lord. It was like a Book of Acts thing. I was praying and He told me (in a voice in my head) I was going back. He also told me who I would be staying with, by name, and EXACTLY what I was to say when I entered the home. Long story short: My host was not a believer. He was an atheist. His family were believers. He came with me to all the meetings where I spoke. By the end of our time together, he received Christ as his Savior and Lord. This was a miracle for the main church that I visited. They had been praying for years. He is a new man. I want to go back and encourage him. I’m simply waiting for the Lord’s call or nudge. Blessings Agnes. David, would you share how you format or actually use and enter info in your Spiritual Journal. I’m noodling ways to make my prayer journal something that actually helps and something I’ll use (in OneNote). Thank you. I simply created a notebook entitled “Spiritual Journal.” Then I create a page with the heading “2019-2020”. I open the “Insert” menu and insert onto the page the current date on the left in bold and location on the right bolded. Then begin my journal entry. What’s really great about using OneNote in this way is that at any point (even after you have a number of annual pages in the notebook, you can search on a any word you can recall in a certain entry (or any date) and come up with the entry.